Ibadan, surrounded by seven hills, is the second largest city in Nigeria. 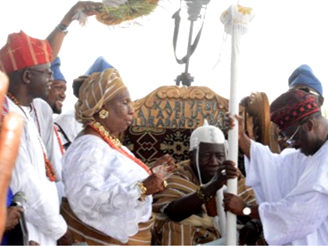 It came into existence when bands of Yoruba renegades following the collapse of the Yoruba Oyo Empire, began settling in the area towards the end of the 18th century. 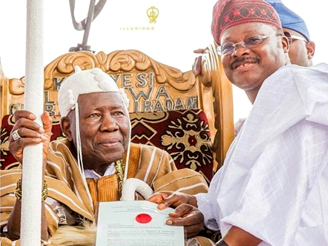 The Olubadan (Olubadan means Lord of Ibadan) is the royal title of the king of Ibadan land in Nigeria, now a largely symbolic role. 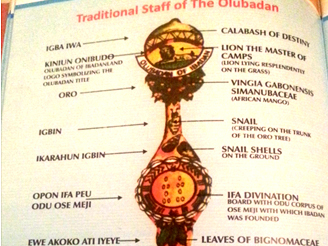 According to the outline history of Ibadan by Oba Isaac Akinyele, Ibadan was founded in the 16th century. I was born on August 26, 1928, at Adetunji compound, Popoyemoja, Ibadan, to the family of Olayiwola and AlhajaSuwebatAdetunji. My father was a tailor. I am the first born of my parents’ 17 children. My father had five wives with my mother as his first wife.